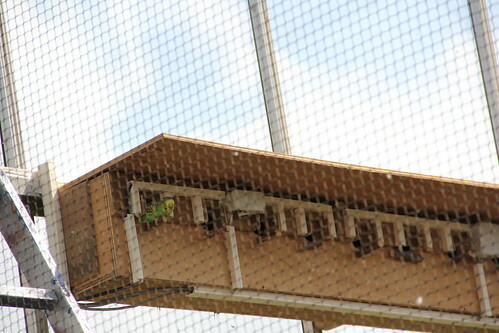 Budgie Waltz(2012) is an art installation that enables budgerigars, or in short, just budgies to play a piano. Each time entering and leaving their houses, the birds trigger a piano key. 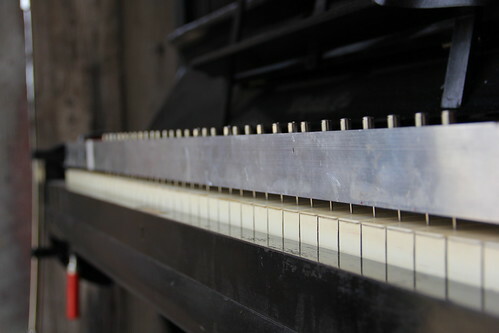 Each entrance (in total 32) to the bird’s house has a light sensor that senses when a bird is entering or leaving its home and triggers a corresponding solenoid that pushes a piano key. Simply: 32 entrances (holes in the birds’ houses) = 32 light sensors = 32 piano keys. 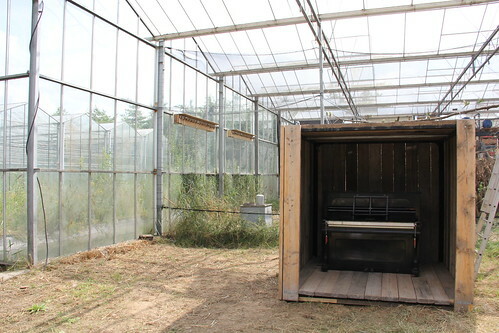 The installation consists of bird cage (10x10x5m), about 40 budgies, piano, light sensors, and solenoids. The work is about giving away control over an artwork and unaware participation. With this work we aim to go beyond human-based or human-generated data and activities, and use birds’ behavior instead. Maybe after a while the budgies will discover that they have a control over a piano and begin an improvising play. The artwork produced in and part of Verbeke Foundation’s collection.